Alley, M. (1996). The Craft of Scientific Writing. 3rd edn. New York: Springer. Alley, M. (2003). The Craft of Scientific Presentations. New York: Springer. Alley, M. and Neeley, K. A. (2005a). Discovering the power of PowerPoint: Rethinking the design of presentation slides from a skillful user's perspective. Proceedings of the 2005 American Society for Engineering Education Annual Conference and Exposition, ICME2005-2461. Alley, M. and Neeley, K. A. (2005b). Rethinking the design of presentation slides: A case for sentence headlines and visual evidence. Technical Communication, 52, 417-426. Alred, G. J., Brusaw, C. T., and Oliu, W. E. (2003). Handbook of Technical Writing. 7th edn. New York: St. Martin's Press. Anholt, R. R. H. (2006). Dazzle 'Em with Style: The Art of Oral Scientific Presentation. 2nd edn. Burlington, MA: Elsevier Academic Press. Aslett, D. (1996). How to Have a 48-Hour Day. Cincinnati, OH: F&W Publications, Inc.
Atkinson, C. (2005). Beyond Bullet Points. Buffalo, NY: Microsoft Press. Baron, D. N. (1994). Units, Symbols, and Abbreviations: A Guide for Biological and Medical Editors. 5th edn. London: Royal Society of Medicine. Bell, S. J. (2004). End PowerPoint dependency now! American Libraries 35(6), 56-59. Benson, B. W. and Boege, S. (2002). Handbook of Good Laboratory Practices. Bristol, PA: Hemisphere Publishing. Bjelland, H. (1990). Writing Better Technical Articles. Blue Ridge Summit, PA: TAB Books. Boice, R. (2000). Advice for New Faculty Members: Nihil Nimus. Needham Heights, MA: Allyn & Bacon. Bolker, J. (1998). Writing Your Dissertation in Fifteen Minutes a Day. New York: Henry Holt. Briscoe, M. H. (1996). Preparing Scientific Illustrations: A Guide to Better Posters, Presentations, and Publications. 2nd edn. New York: Springer-Verlag. Buranen, L. and Roy, A. M. (eds.) (1999). Perspectives on Plagiarism and Intellectual Property in a Postmodern World. Albany: State University of New York Press. Calisher, C. H. and Fauquet, C. M. (1992). Stedman'sICTV Virus Words. Baltimore, MD: Lippincott, Williams & Wilkins. Campbell, J. B. and Campbell, J. M. (1995). Mosby's Survival Guide to Medical Abbreviations, Acronyms, Prefixes and Suffixes, Symbols and the Greek Alphabet. St. Louis, MO: Mosby Inc.
Cooper, H. (1998). Synthesizing Research. 3rd edn. Thousand Oaks, CA: Sage. Council of Science Editors. (2006). Scientific Style and Format: The CSE Style Manual for Authors, Editors, and Publishers. 7th edn. New York: Cambridge University Press. Darwin, F. (ed.)(1897). The Life and Letters of Charles Darwin, Including an Autobiographical Chapter. New York: D. Appleton and Company. Davis, M. (2005). Scientific Papers and Presentations. 2nd edn. Burlington, MA: Academic Press (Elsevier). Day, R. A. and Gastel, B. (2006). How to Write and Publish a Scientific Paper. 6th edn. Westport, CT: Greenwood Press. de Lacey, G., Record, C., and Wade, J. (1985). How accurate are quotations and references in medical journals? British Medical Journal, 291, 884-886. Dizon, A. E. and Rosenberg, J. E. (1990). We don't care, Professor Einstein, the Instructions to the Authors specifically said double-spaced. In Writing for Fishery Journals, ed. J. Hunter. Bethesda, MD: American Fisheries Society. pp. 65-74. Dorland's Illustrated Medical Dictionary. (2003). 30th edn. Philadelphia, PA: W. B. Saun-ders Co.
Dupre, L. (1998). B UGS in Writing: A Guide to Debugging your Prose, revised edn. Reading, MA: Addison Wesley Longman, Inc.
Evans, J. T., Nadjari, H. I., and Burchell, S. A. (1990). Quotational and reference accuracy in surgical journals: A continuing peer review problem. Journal of the American Medical Association, 263, 1353-1354. Flower, L. (2000). Problem SolvingStrategiesfor Writing. 5th edn. San Diego, CA: Harcourt Brace Jovanovich. Germano, W. (2001). Getting It Published. Chicago: University of Chicago Press. Gingras, B. (1987). Simplified English in maintenance manuals. Technical Communications, 34(1), 24-28. Gould, C. (1998). Searching Smart on the World Wide Web. Tools and Techniques for Getting Quality Results. Berkeley, CA: Library Solutions Press. Gurak, L. J. (2000). Oral Presentations for Technical Communication. Needham Heights, MA: Allyn & Bacon. Hailman, J. P. and Strier, K. B. (1997). Planning, Proposing, and Presenting Science Effectively. Cambridge, UK: Cambridge University Press. Handbook of Current Medical Abbreviations. (1998). 5th edn. Philadelphia, PA: The Charles Press. Hinchcliff, K. W., Bruce, M. J., Powers, J. D., and Kipp, M. L. (1993). Accuracy of references and quotations in veterinary journals. Journal of the American Veterinary Medical Association, 202(3), 397-400. Holt, J. G., Kreig, N. R., Sneath, P. H. A., Staley, J. T., and Williams, S. T. (eds.) (1994). Bergey's Manual of Determinative Bacteriology. 9th edn. Baltimore, MD: Lippincott, Williams & Wilkins. Hornby, A. S. and Wehmeier, S. (eds.) (2005). Oxford Advanced Learner's Dictionary. 7th edn. New York: Oxford University Press. International Code of Botanical Nomenclature (St. Louis Code), adopted by the Sixteenth International Botanical Congress, St. Louis, 1999, 2000. Konigstein: Koeltz Scientific Books. International Code of Zoological Nomenclature. (1999). 4th edn. London: International Trust for Zoological Nomenclature. International Committee of Medical Journal Editors. (2006). Uniform Requirements for Manuscripts Submitted to Biomedical Journals. www.ICMJE.org. Taxonomy of Viruses. ed. M. H. V. van Regenmortel, C. M. Fauquet, D. H. L. Bishop et al. New York: Academic Press. International Union of Microbiological Societies. (1992). International Code of Nomenclature of Bacteria. 1990 Revision, ed. P. H. A. Sneath, E. F. Lessel, V. B. D. Skerman, H. P. R. Seeliger, and W. A. Clark. Washington, DC: American Society for Microbiology. Iverson, C. I. (ed.). (1997). American Medical Association Manual of Style: A Guide for Authors and Editors. 9th edn. Baltimore, MD: Lippincott, Williams & Wilkins. Jablonski, S. (ed.) (2004). Dictionary of Medical Acronyms and Abbreviations. 5th edn. Philadelphia, PA: W. B. Saunders Co.
Jeffrey, C. (ed.) (1992). Biological Nomenclature. 3rd edn. New York: Cambridge University Press. Keller, J. (2004). Is PowerPoint the devil.? Chicago Tribune, 23 January. LaFollette, M. C. (1992). Stealing into Print: Fraud, Plagiarism, and Misconduct in Scientific Publishing. Berkeley: University of California Press. Lawrence, S. (1981). Watching the watchers. Science News, 119, 331-333. Lederer, R. (1987). Anguished English. New York: Dell Publishing. Leigh, G. J. (1998). Principles of Chemical Nomenclature: A Guide to IUPAC Recommendations. Malden, MA: Blackwell Science. Longman Dictionary of American English. (2004). 3rd edn. St. Laurent, Quebec, Canada: Pearson Longman ESL. Macdonald-Ross, M. (1977a). Graphics in text. In Review of Research in Education No. 5, ed. L. S. Shulman. Itasca, IL: F. E. Peacock. Macdonald-Ross, M. (1977b). How numbers are shown. A V Communication Review, 25, 359-409. Mack, K. and Skjei, E. (1979). Overcoming Writing Blocks. Los Angeles: J. P. Tarcher. Distributed by St. Martin's Press, New York. MacNeil, R. (1995). The glorious messiness of English. Reader's Digest, Oct. 1995, pp. 151-154. Maggio,R. (1991). The Bias-free Word Finder: A Dictionary of Nondiscriminatory Language. Boston, MA: Beacon Press. Maggio,R. (1997). Talking About People: A Guide to Fair and Accurate Language. Westport, CT: Greenwood, Oryx Press. Markel, M. (1994). Writing in the Technical Fields: A Step-by-Step Guide for Engineers, Scientists, and Technicians. New York: IEEE Press. Medical Terms and Abbreviations. (2002). 2nd edn. Philadelphia, PA: Lippincott, Williams & Wilkins. Montgomery, S. L. (2003). The Chicago Guide to Communicating Science. Chicago: University of Chicago Press. Nelson, V. (1993). On Writer's Block. Boston, MA: Houghton Mifflin Co.
Ogden, C. K. (1930). 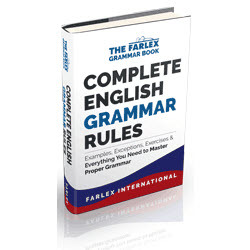 Basic English: A General Introduction with Rules and Grammar. London: Kegan Paul, Trench, Trubner. O'Neill, M. J., et al. (2006). The Merck Index: An Encyclopedia of Chemicals, Drugs, and Biologicals. 14th edn. New York: John Wiley & Sons. Peek, R. P. and Newby, G. B. (eds.) (1996). Scholarly Publishing. The Electronic Frontier. Cambridge, MA: The MIT Press. Peterson, I. (1993). Going for glitz. Science News, 144, 232-233. Publication Manual of the American Psychological Association. (2001). 5th edn. Washington, DC: American Psychological Association. Raimes, A. (1988). Grammar Troublespots: An Editing Guide for ESL Students. New York: St. Martin's Press. Robbins, N. B. (2005). Creating More Effective Graphs. New York: Wiley-Interscience. Rogoff, J. B. and Reiner, S. (1961). Electrodiagnostic apparatus. In Electrodtagnosts and Electromyography, ed. S. Licht. 2nd edn. Baltimore, MD: Waverly Press. Rubens, P. (2002). Science and Technical Writing: A Manual of Style. 2nd edn. Oxford: Routledge. Safire, W. (1990). Fumblerules: A Lighthearted Guide to Grammar and Good Usage. New York: Doubleday. Sanderlin, S. (1988). Programming instruction manuals for non-English readers. Technical Communication, 35(2), 96-100. Schaie, K. W. (1993). Ageist language in psychological research. American Psychologist, 48, 49-51. Schwartz, M. and the Task Force on Bias-free Language of the Association of American University Presses. (1995). Guidelines for Bias-free Writing. Bloomington, IN: Indiana University Press. Shortland, M. and Gregory, J. (1991). Communicating Science: A Handbook. New York: John Wiley & Sons. Simons, T. (2004). Does PowerPoint make you Stupid? Presentations, March 24-31. Skerman, V. B. D. (ed.) (1989). Approved Lists of Bacterial Names. Washington, DC: American Society for Microbiology. Stedman's Medical Dictionary. (1995). 26th edn. Baltimore, MD: Williams and Wilkins. Stix, G. (1994). The speed of write. Trends in scientific communication. Scientific American, 271, 106-111. Strong, W. S. (1999). The Copyright Book: A Practical Guide. 5th edn. Cambridge, MA: MIT Press. Swanson, E., O'Sean, A. A., and Schleyer, A. T. (1999). Mathematics into Type (Updated edn.) Providence, RI: American Mathematical Society. Swinford, E. (2006). Fixing PowerPoint Annoyances. Sebastopol, CA: O'Reilly Media. Truss, L. (2003). Eats, Shoots and Leaves: The Zero Tolerance Approach to Punctuation. NY: Gotham (2006 paperback reprint). Tufte, E. R. (2001). The Visual Display of Quantitative Information. 2nd edn. Cheshire, CT: Graphics Press. USP Dictionary of USAN and International Drug Names [annual]. Rockville, MD: U.S. Pharmacopeia. Walker, T.J. (1998). The future of scientific journals: free access or pay per view? American Entomologist, 44, 135-138. Weiss, E. H. (1990). 100 Writing Remedies: Practical Exercises for Technical Writing. Phoenix, AZ: Oryx Press. Wheatley, D. W. and Unwin, A. W. (1972). The Algorithm Writer's Guide. London: Longman. Woodford, F. P. (1968). Scientific Writingfor Graduate Students: A Manual on the Teaching of Scientific Writing. Bethesda, MD: Council of Biology Editors. Woolsey, J. D. (1989). Combating poster fatigue: how to use visual grammar and analysis to effect better visual communications. Trends in Neurosciences, 12, 325-332. Yang, J. T. (1995). An Outline of Scientific Writingfor Researchers with English as a Foreign Language. Singapore: World Scientific. Young, D. S. and Huth, E.J. (1998). SI Units for Clinical Measurement. Philadelphia, PA: American College of Physicians. How to write and publish a scientific paper, 6th edn (Greenwood Press, Westport, CT?